Starting from the 60s, a lot of people started moving to Delhi and this trend only continued to rise. In the 70s, 27% of the air pollution was contributed by vehicular emissions. The 80s saw a lot of people buying vehicles and this sudden surge kicked up the air pollution by large numbers. In 1997, it was estimated that about 70% of the air pollution was due to the vehicles. In a 1993 post-match interview, the visiting English Cricket team attributed its loss partly to the high levels of pollution in Delhi. Such was the level of pollution that it affected the daily life of people. In 1998, the Honorable Supreme Court of India issued orders to take necessary actions to curb air pollution in Delhi. March 31, 2001 was set as the deadline for replacing all pre-1990 auto rickshaws and taxis with new vehicles using clean fuels, in other words CNG. CNG stands for Compressed Natural Gas. It is nothing but natural gas stored under high pressure. CNG's various properties like mixing easily with air, high inflammable temperature, lower emissions of greenhouse gases when burned, lower price than petrol or diesel, etc. made it the alternative fuel of choice. Before CNG made its debut in 2001, Delhi was already experimenting with various other fuels, but with little success. Unlike cities in Europe and the US, 60% of the vehicular traffic in Delhi was two wheelers. Auto-rickshaws and public buses were the major forms of public transportation system. Research was carried out and it was decided that the public buses and auto-rickshaws should be installed with newer engines that ran on CNG or be replaced by newer vehicles before the deadline of March 31, 2001– for a significant reduction in air pollution in a short span of time. This was easier said than done because engines that ran on CNG cost more than the regular ones, and most of the owners of auto-rickshaws came from middle-class families who could not afford a new vehicle. With great support from the government, eventually most of the buses and auto rickshaws were upgraded or replaced before the deadline. With the upgradating and replacement of a large number of vehicles to CNG vehicles, Delhi did see a drop in the pollution levels… but the numbers were not as good as expected. What had gone wrong? 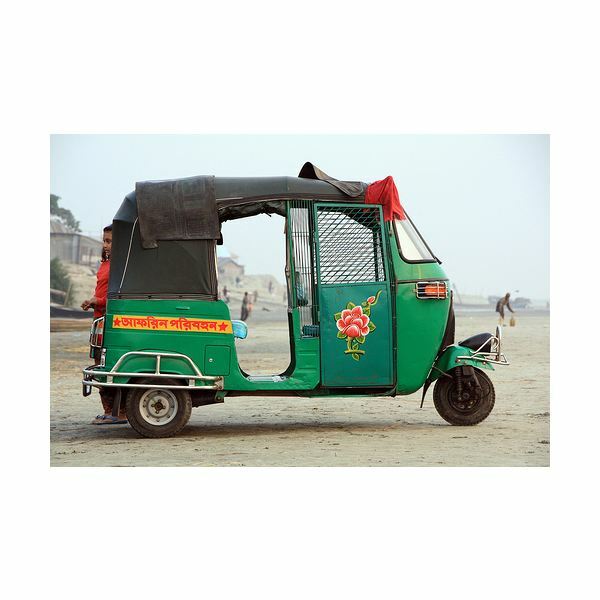 What the researchers had overlooked was the fact that many of the auto rickshaws ran on two-stroke engines. Along with other vehicles, these two-stroke auto-rickshaws were also converted to CNG gas-powered rickshaws. Two-stroke engines are powerful, considering their weight and size, but they fail to burn around one-third of the fuel injected into them. The unburned fuel was thus directly emitted into the air. These emissions contained high levels of methane, a major greenhouse gas, and high particulate matter, both very harmful. Thus the upgrade did not help in reducing pollution. Instead it contributed the same amount of pollution, but by emitting a different mixture of greenhouse gases. Was the Experiment a Failure? Failure has always been a part of experimenting. Delhi has had its share of failures with its experiment with gas powered auto-rickshaws. However, it was way back in the period 2000 – 2003. Delhi's effort in curbing air pollution was very fruitful and in the year 2003, it won the first "Clean Cities International Partner of the Year" award, given by the US Department of Energy for its "bold efforts to curb air pollution and support alternative fuel initiatives." In 2007, it was estimated that the pollution level had dropped down to 72% of what it was in the late 90s. This in itself was a proof of the efforts taken by Delhi to reduce air pollution in its city. In recent years, lots of two-stroke rickshaws have been replaced with four-stroke gas powered rickshaws, further pushing Delhi in achieving a much more cleaner environment. For a city with a population of more than 16 million, a feat like this was nothing less than an immense achievement, and this was appreciated by many countries. Its initiative to curb air pollution in such a short span of time was an inspiration to other cities in India that followed suit and also achieved good results. ScienceDaily.com, "Clean Fuel Worsens Climate Impacts for Some Vehicle Engines"
UNEP, "CNG conversion: Learning from New Delhi"
Clean Air Portal, "Case study of Delhi CNG buses"